Don’t miss out when the predicted renovation boom hits! A home renovation boom is predicted to hit over the next three years with recent figures indicating an investment from the homeowner market in excess of $30 billion. What does this mean for homeowners, how can you benefit and what are your options? 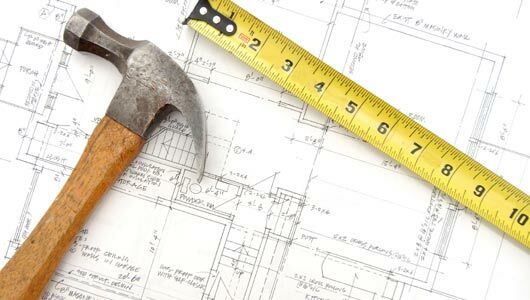 Two major building and housing industry bodies – the Housing Industry Association and Master Builders Australia – have released figures recently that point to a well-earned boom in the renovation sector due to occur over the next three years. Whether you’re a first home buyer, a baby boomer or want to rejuvenate and modernise your home, making the decision to extend is an exciting prospect and one that you should take advantage of during this boom period. What will the renovation boom mean for homeowners? A boom in the market is a simple part of the cycle that we see in the housing industry regularly. A boom means that the economy is growing, jobs are plentiful and the market is bringing high returns to investors. So this means that home owners should invest in their home by ideally extending. There will be growth and solid momentum in the building and housing industry over the next three years. It really will be one of the best times to renovate if both the Housing Industry Association and Master Builders Australia predictions are set to ring true. What are the benefits of extending? Deciding to renovate by way of adding to your home is an exciting step and one that you may find you have time to plan for, or you are thrown into due to unforeseen circumstances. Regardless of how you make your decision to renovate, your investment will see many benefits by way of value and space. Increased spaciousness to living areas is priceless, especially if you have a growing family or just don’t have enough space at the moment. First floor or ground floor additions will create space that can be used for entertaining, accommodating guests, or working from home. What are the options when it comes to deciding to extend? When it comes to partnering with Keystone Builders, making the decision to build an extension is really the hardest decision you will make. From there on in, Keystone Builders take the time to understand your requirements, accommodate your needs, and deliver quality work to add value and appeal to your biggest asset. Keystone Builders have been helping customers extend their homes since 1997 so we really do take pride in ensuring your dreams become a reality. If you think building an extension isn’t an option for you, talk to us and we can provide you with other ideas you may not have considered, including building a new home or duplex on your property.